This is an ambitious book on the career of one of the most significant thinkers of our time. Friedrich Hayek (left) lived through most of the twentieth century and his working life spanned three-score years and ten. His work runs so wide and deep that no single author or book could do justice to it. Peter Boettke explains that he has not tried to provide an introduction or an intellectual biography to compete with Hayek’s Challenge by Bruce Caldwell. His main objectives are to show how Hayek rose to the great intellectual, political and moral challenges to democratic capitalism, and to call future scholars to apply Hayek’s ideas on economics and “moral economy”. He sees radical liberalism as “an ongoing project that excites the imagination of scholars and intellectuals and offers creative solutions to the pressing issues of the times”. The theme that unifies Boettke’s densely packed account is the need to place economic events in their institutional, social and cultural context. Adam Smith and the great classical thinkers embraced the broad expanse of political economy and moral philosophy but the focus of economic analysis contracted to a narrow point in the twentieth century. Boettke refers to the “hourglass of economics” and he wants to see that shape restored by wider and deeper institutional studies including attention to the moral framework of society. Boettke is Professor of Economics and Philosophy at George Mason University in Fairfax, Virginia. He is the immediate past president of the Mont Pelerin Society and a prolific contributor to the literature of Austrian economics. This is a small sub-group in the profession, an international confederation of scholars who trace their intellectual ancestry to the Austrian founding father Carl Menger (1840–1921). Prominent Austrians in the next generation were Ludwig von Mises (1881–1973) and Friedrich Hayek (1898–1992). Leading features of the Austrian approach include emphasis on the role of entrepreneurial initiatives in driving economic progress, the function of free markets to co-ordinate economic activities, and the relationship between markets and the institutional framework of the law and government regulations. Wolfgang Kasper is a leading “Austrian” in Australia. Now in active retirement, he taught for many years at the Australian Defence Force Academy and was a friend and colleague of Hayek in Germany. In 1985 a piece by Leo Dunbar appeared in the Melbourne Age Monthly Review drawing on Kasper’s work to show how the Austrian ideas supported the program of economic rationalism and deregulation that was being debated at the time. Hayek himself contributed to Quadrant with articles in November 1976 and July 1978. 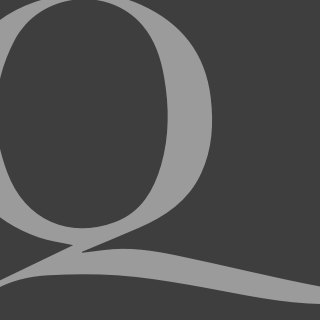 Late in his life the former Quadrant editor Roger Sandall became enthusiastic about the Austrians to the extent of taking an online course from the Mises Institute in Alabama. In the early twentieth century the Austrian ideas appeared to be firmly planted in the mainstream of the economics profession but the impact of Keynes in the 1930s and the rise of mathematics in the 1940s transformed the situation. The Austrians rejected the Keynesian revolution and they also objected to much of the mathematical analysis that rapidly became standard in the profession. Consequently they were widely regarded as out of date and they became practically invisible amidst the mushrooming growth of the profession after the war until the movement staged a revival during the 1970s. Boettke sketches four stages in Hayek’s progress. His concern with economics persisted like a long thread in the tapestry of his thought and he added more threads as he discovered that economics alone was not enough. In the first phase from 1920 to 1940 he concentrated on the function of prices for co-ordinating economic activities. His work on monetary theory and the trade cycle earned him a prestigious chair at the London School of Economics in 1930 at the ripe age of thirty-two. In the second phase between 1940 to 1960 he explored the “abuse of reason” with books and essays on methodology including The Counter-Revolution of Science and The Road to Serfdom. In the third phase, roughly from 1960 to 1980, he moved on to the “restatement of liberal principles” with The Constitution of Liberty and the three volumes of Law, Legislation and Liberty published between 1975 and 1979. In 1974 he shared the equivalent of the Nobel Prize for Economics with the socialist Gunnar Myrdal. In 1976 he visited Australia and his presentations during six hectic weeks provide a lucid insight into the main themes of his mature thought on the challenges to democracy. The fourth phase on “philosophical anthropology and the study of man” produced The Fatal Conceit, where Hayek tried to wrap up all his arguments against socialism into a package. This work was edited by his official biographer at the time, William Warren Bartley, who raised funds to launch the project to produce a new set of collected works at the University of Chicago Press. Bartley only lived long enough to see the first volume and the project is proceeding under the general editorship of Bruce Caldwell, Director of the Center for the History of Political Economy at Duke University in North Carolina. The critical turning point in Hayek’s career came in the 1930s when he was debating with Keynes on economic policy and with the socialist central planners led by Oscar Lange on the possibility of dispensing with markets to set the prices of goods. Both debates went badly for Hayek, at least in the generally accepted view. He was seriously disadvantaged in the battle with Keynes by the defection of his erstwhile ally Lionel Robbins and the formidable power of Keynes in polemics. Bertrand Russell was no mean controversialist but he confided that the thought of debating Keynes terrified him. The problem of communication that Hayek encountered made him realise that deep currents of thought were driving Keynesianism beyond the temptation to tell politicians what they wanted to hear about the way to handle the Great Depression. At the macro level he took up the study of institutions, prompted by Lange’s refusal to consider incentives as a factor in economic affairs. Lange and his colleagues insisted that elaborate calculations based on massive banks of data collected for the central planners would take care of prices and indicate the necessary production targets. Hayek started to see that the very framework of economic analysis called for attention and the game was being lost at a level where his opponents would not go. Boettke comments that productive debate in science calls for agreement on the terms of the debate. The terms of debate had to be shifted just as the rising fashion in the philosophy of science ruled out the kind of discussion that was required. Logical positivism dismissed as literally meaningless most if not all propositions in philosophy, including moral philosophy, and methodology including the “rules of the game” of science. 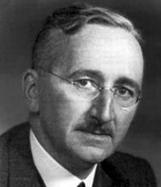 Having failed to convince Keynes and Lange of the error of their ways, Hayek turned to write The Road to Serfdom (1944) to engage with “the socialists of the world”. Practically all intellectuals at the time were socialists, though not necessarily Marxists, and he challenged them to consider the results of their policies to find if they aligned with their intentions. He wrote some of the book in Cambridge when the London School of Economics relocated to escape the blitz and Keynes offered sanctuary in his college (King’s). He and Keynes spent some time together fire-watching on the college roof. He pursued the great task of institutional analysis in the United States, where he moved in 1950, partly for financial reasons with an ex-wife and a current wife to support. He was so out of fashion in economics that he was not wanted in the Department of Economics and instead he joined the Committee on Social Thought. This was established by members of the older Chicago school led by Frank Knight who thought economics was becoming too specialised. Around that time a remarkable array of talents joined the Committee including T.S. Eliot, Mircea Eliade, Hannah Arendt, Leo Strauss and Saul Bellow. He was there from 1950 to 1962 writing The Constitution of Liberty. The first part is “The Value of Freedom”, the second is “Freedom and the Law” and the third is “Freedom and the Welfare State”. The postscript is “Why I Am Not a Conservative”. He has been roasted by libertarians ever since for compromising with the welfare state, but with the genie of the welfare state out of the bottle he aimed to keep it under control. Reflecting the institutional theme of Boettke’s book, he worked through a range of issues to suggest the kind of constitutional, legal and institutional arrangements required to preserve freedom and keep the state within limits. He wrote about labour unions and employment, social security, taxation and redistribution, the monetary framework, housing and town planning, agriculture and natural resources, education and research. As for the provocative postscript, it might have been called “Why I am not a particular kind of conservative” because the target was people like Malcolm Fraser who hated socialism but balked at the economic reforms urged by Bert Kelly and the backbench dries. That is, the kind of conservative who thinks all will be well if leadership is in the right hands and who neglects the need to limit the power of the state to minimise the damage when leadership is in the wrong hands. Similarly, Robert Manne had an honourable record of anti-communism that earned him the editorship of Quadrant but his anti-market stance and his regression to progressive leftism disqualified him. We must make the building of a free society once more an intellectual adventure, a deed of courage … if we can regain that belief in the power of ideas which was the mark of liberalism at its greatest, the battle is not lost. That is the motif of the last chapters of the book, treating Hayek’s efforts to keep the liberal program alive as a vital and progressive intellectual tradition. He launched the Mont Pelerin Society in 1947 to maintain communication among liberal scholars. Under the heading “Liberalism is Liberal”, Boettke signals some of the intellectual battles that the scholars have to fight, including the idea famously articulated by Kevin Rudd that liberalism would usher in a “brutopia”. Boettke cites a prominent academic Left-liberal on the same theme: “Compassion, justice, civic responsibility, honesty, decency, humility, respect, and even survival of the poor, weak and vulnerable—are all to take a back seat.” Left-liberals have exploited that widespread perception to exert a powerful emotional appeal by virtue-signalling on the themes of justice and helping the poor. These were appropriated from Christianity and classical liberalism while the actual existing institutions of Christianity and classical liberalism were excoriated and subjected to relentless attack. The idea of the welfare state gained traction after the industrial revolution because neither the conservatives at the time nor the leaders of the labour movement understood how laissez-faire capitalism was advancing the welfare of the able-bodied poor and generating the wealth that could be channelled through private and charitable efforts to deliver all the health, education and welfare services that socialists might desire. One of the exciting developments in modern liberal scholarship is the growing awareness or at least the rediscovery of the synergy of markets and morals. The idea was not new to Adam Smith, when political economy was closely related to moral philosophy, and of course his first book was The Theory of Moral Sentiments. It was in the air at the Mont Pelerin conference in 1989 with The Fatal Conceit hot off the press and cognate publications like The Ethics of Economic Freedom (CIS, 1989). The late Michael Novak was a major modern pioneer on that front with The Spirit of Democratic Capitalism (1982) and Free Persons and the Common Good (1989). Later Deirdre McCloskey weighed in with multiple volumes in defence of the bourgeois virtues. In Australia the Institute of Public Affairs, the Mannkal Economic Education Foundation in Perth and the Centre for Independent Studies have established programs to promote the traditional values and culture of Western civilisation. This may be a new development for economic liberals but it is old hat for conservatives who can recall the Congress for Cultural Freedom that fought on the culture front in the Cold War. Peter Coleman chronicled the exploits of this thin anti-red line in The Liberal Conspiracy: The Congress for Cultural Freedom and the Struggle for the Mind of Postwar Europe (1989). The local arm of the movement was the Association for Cultural Freedom with Quadrant the vehicle and inspiring leadership from Richard Krygier and the first editor James McAuley. The contribution of the economic liberals is welcome but long overdue in this arena because it was apparent long ago that liberals could win all the economic and philosophical debates but still lose the all-important culture war due to the march of the Left through the institutions of the West. Boettke has beaten a path through several decades of intensive work by a great thinker to identify the most important and fruitful line of march for scholars and friends of liberal democracy. F.A. Hayek: Economics, Political Economy and Social Philosophy is a challenging work of scholarship designed to provoke more efforts to explore the implications and applications of critical rationalism, Austrian economics and non-socialist (classical) liberalism. He could have mentioned that Hayek’s close friend Karl Popper was a fellow traveller in the project but that is another story and this vessel is loaded to the gunwales already. We are fortunate that the ideas of Hayek and classical liberalism have found such an enthusiastic and energetic champion as Peter Boettke. Rafe Champion is Sydney writer. A good article Rafe. I first read Mises and Hayek back in the early 1960’s after recomendation from NBI (there’s a bit of ancient history). The book reviewed herein is expensive, but Hayek and von Mises’ works themselves are very reasonably priced. Try http://www.booko.com or Amazon. The Mises Institute http://www.mises.org is a great site for up-to-date articles on the thinking of the current Austrian School. Thankfully Mises and Hayek’s philosophies are far from dead in this world so foolishly entranced by socialism.